I was there- that car had a really interesting front suspension-and I liked how the radiator was laid down. Is that a transverse torsion bar spring, or just a gigantic anti-roll bar? 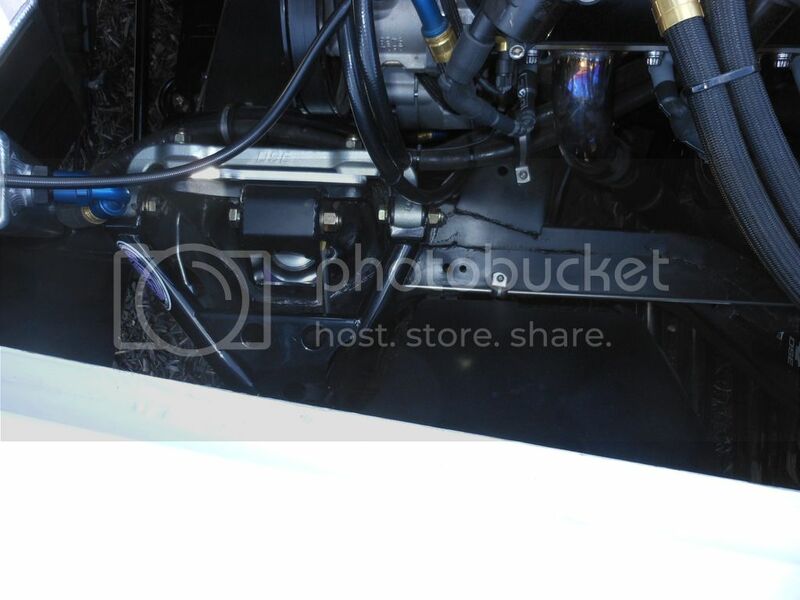 That is the first thing that struck me about the pix.....second is that 'reverse slant on the rad....has to be very short, means has to be thick, and so to the plumbing something coming out top of the pump, and returns/supplies to the driver/left side of radiator?? 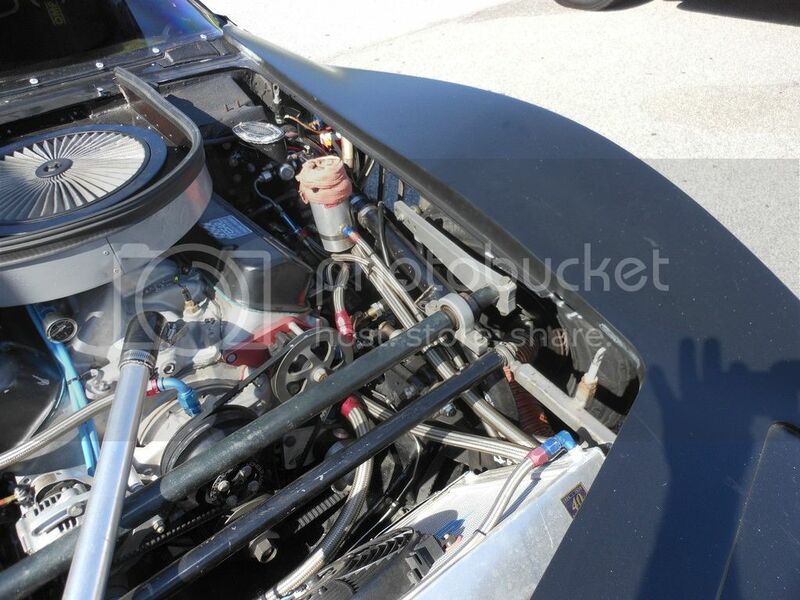 the stat hose is made up outta plumbing parts like I did on my radiator conversion 22 years ago..... but the large hose down lo coming from what looks like same side of radiator, across and down the driver side of fender??? this is not the same car from the link above is it? It is not- I was mistaken- both are flat black. My first thoughts on the in-car video were; "What is going on with the steering system?" Is the box that sloppy? I'll admit I haven't driven mine in a decade (it seems) but that seems like way to much action required. All that movement and saw little response in the front end. Throttle steer complications? A lot of HP there I bet.